PRODUCT: T272 grade Stitch-Bonded Polyester Reinforcement Fabric, Soft-Finish 3-Oz / Yard. 6-inch X 324' Roll. Used with Acrylics and other Liquid Roof Coatings. Price/Roll. 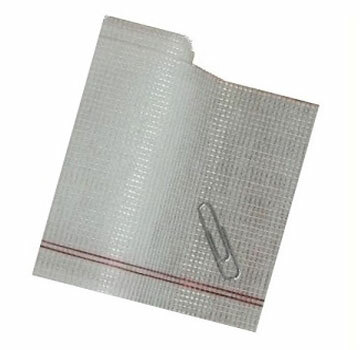 USE: T272 reinforcement fabric is a stitch-bonded heat-set polyester high-performance reinforcement fabric. Its commonly used with liquid roof coatings to create a solid reinforcement layer. Its oompatible with liquid solvent-based asphalt roof coatings, water-based emulsion coatings, cold-applied built-up roofing, elastomeric roof coatings and other liquid roof maintenance and restoration systems. Color: White to off-white with printed alignment stripe.